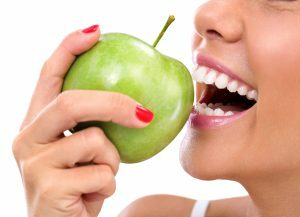 Many people who want to improve their smile are often concerned about the position and angulation of their teeth. Often improving these two things can result in a dramatically more pleasing smile. Here at Marquess Dental we are experienced and confident in ourtwo unique and very different solutions to help improve your tooth alignment using either Invisalign or Six Month Smiles treatments. Adults wishing for straighter teeth need look no further than Six Month Smiles®. Designed specifically for adults with crooked, crowded or spaced teeth, this innovative system means teeth can be straightened in shorter time and with fewer visits than by means of traditional braces. Not only is the treatment quick and effective, but the braces are also discreet. Six Month Smiles® is a revolutionary combination of proven orthodontic techniques, modern materials and innovative thought. Utilising nearly invisible clear braces to gently straighten and align teeth in an average time of just six months. Marquess Dental offers free consultation for this treatment and home whitening is included. For patients who’d like to avoid brackets and wires altogether, or require comprehensive orthodontic treatment, we are also proud to provide Invisalign® clear aligner treatment. Invisalign® has been designed to avoid disruption to your daily routine. The custom made clear aligners do not consist of any wires or brackets, and are also removable. This means you can eat, drink, brush your teeth, and floss without having to worry about your aligner.